The Devs for the PiVeraProject haven’t tested this app on every phone in existence, and might not be able to test on every phone or version of Android. But still, we know its super frustrating when an app crashes… so we’re sorry if it happens to you. But not to worry! The Devs are active and check our email inbox often! If you have a trouble with these instructions or the install fails right away, just let us know and we’ll have a look as soon as possible. We may reach back out to you and ask you to test a private build before we publish our update. Use the “Client” button on the left to download the latest Android PiVeraProject app. If you’re viewing this guide from an Android device, your browser may have placed the .apk app-file in your “Downloads” folder. If you’re viewing this guide from a desktop computer, you’ll need to find where your browser put it, and then transfer the file onto your phone. Once you have the .apk file on your phone and you can find it, simply tap it and the installation should begin. If it displays an error, you may need to enable the “Allow installation from unknown sources” on your phone. Read/Write Files & Photos: This is required for updating a log file, which you can configure in the Settings of the PiVeraProject app. The first time the app opens, it will show a popup with two numbers: your unique Client ID, and a Password. This information will only be showed one time, but that should be ok since you’ll only need it once. Those two pieces of information need to be updated in your Config.php file for your Apache PiVeraProject code. After that, each time your app tries to get a list of commands available to you (the client), it will use that Client ID, and anytime a security authentication prompt is successful in the app, it will include that Password. Do not share this information with others! Next, you’ll need to configure your app’s settings by updating the “Pi Address” to your RaspberryPi’s IP address from earlier. Don’t forget to use “https” if that’s how you configured your Apache server connection. Then just pull-to-refresh.  Your app will attempt to reach your Apache server and generate a list of all the commands available to you. Tasker has the ability to create tasks that can call “Intents”, which are simply a way of activating an action within another app. 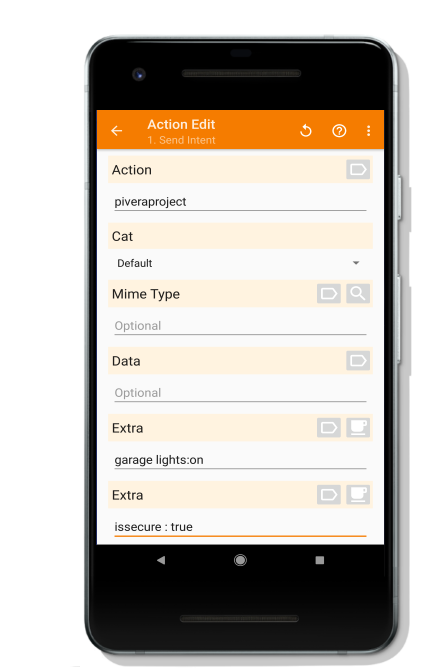 We’ve build in hooks to allow Tasker to call actions within your PiVeraProject app. These tasks can then be called by a ‘shortcut’, which you can place on your phone’s home screen. - If your command is secure, you’ll need to tell the Android app to prompt you for authentication. If so, then in another Extra field, issecure : true. This parameter is only necessary if your action is secure. To create a shortcut, typically you would press-and-hold on your phone’s home page, select Widgets (perhaps it’s called Shortcuts). Scroll down to Tasker, then select Task Shortcut. You should be up and running. If you hit a snag, please let us know!